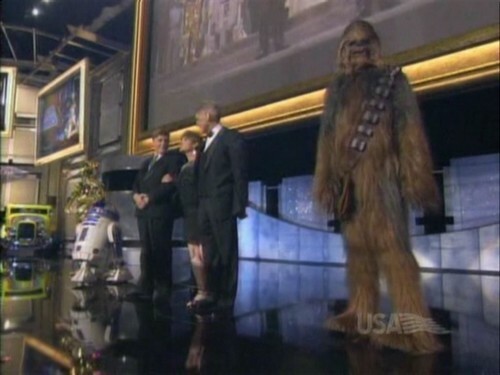 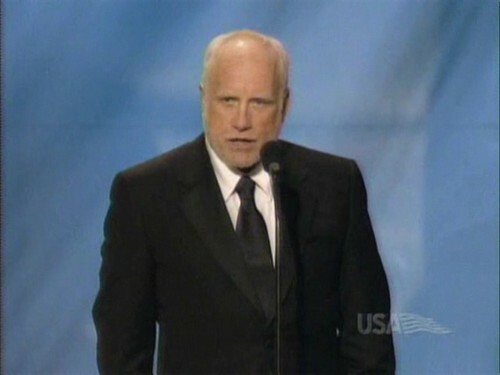 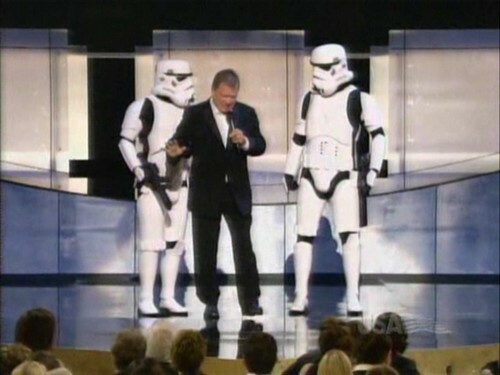 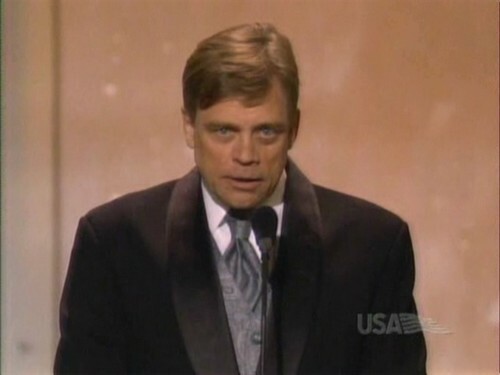 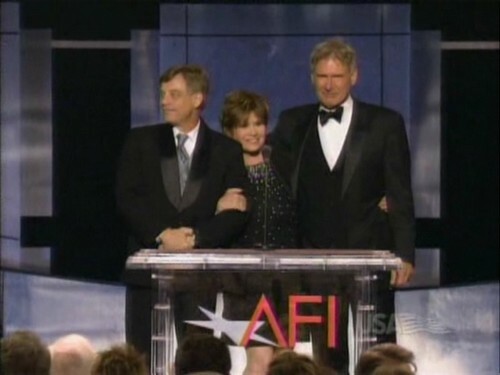 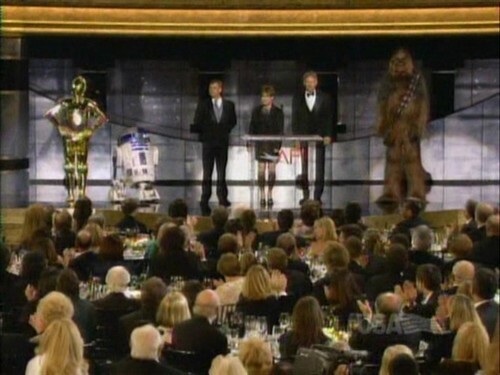 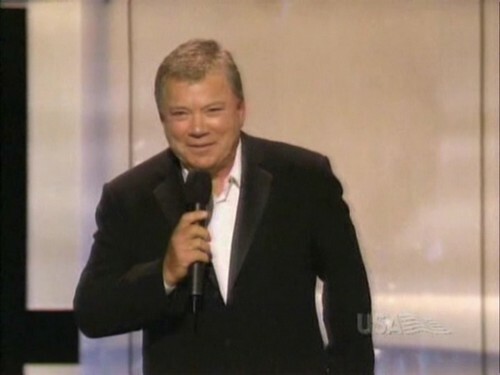 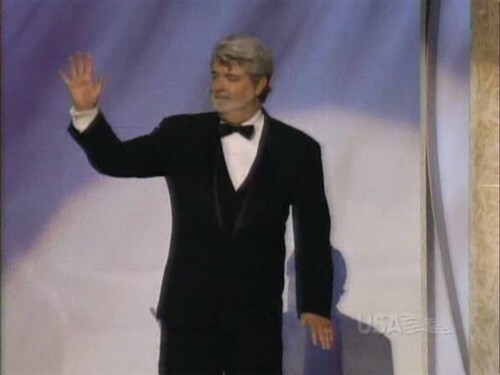 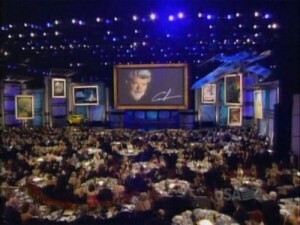 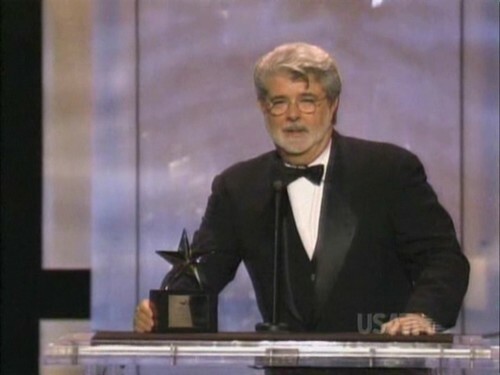 George Lucas is honored by the American Film Institute. 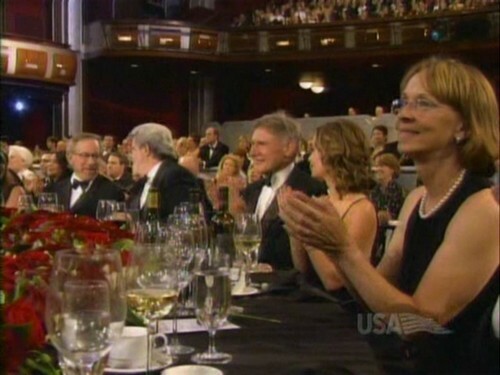 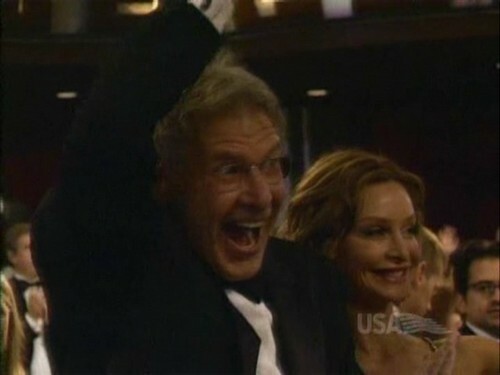 Harrison Ford has spotted George Lucas. 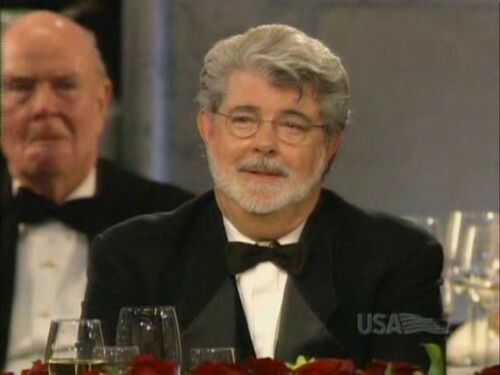 George Lucas has spotted Harrison Ford. 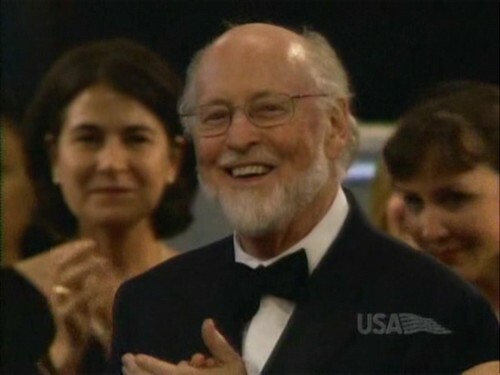 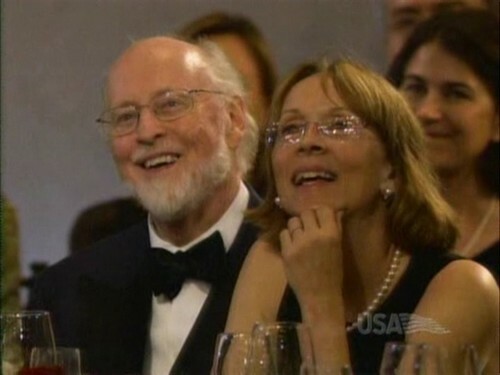 John Williams is having fun. 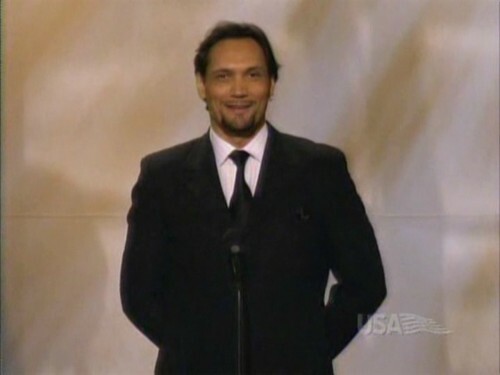 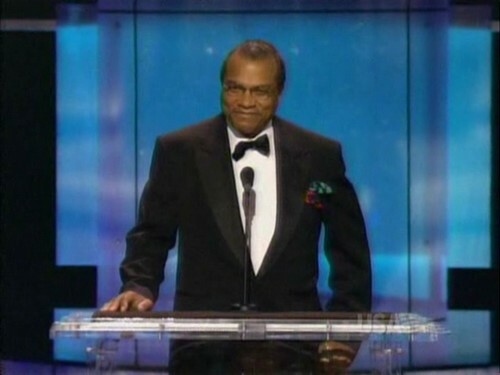 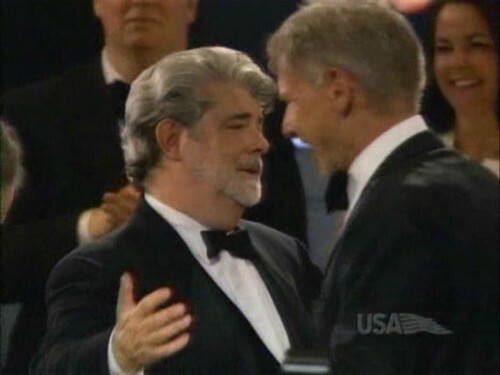 "George, next time: An opera!" 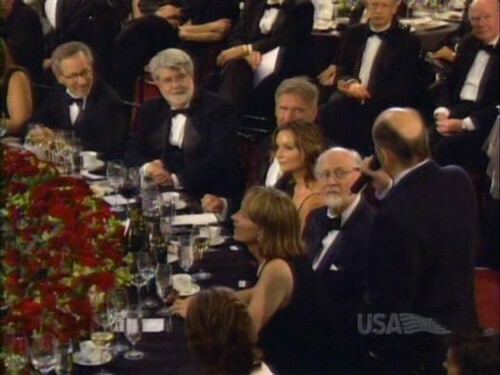 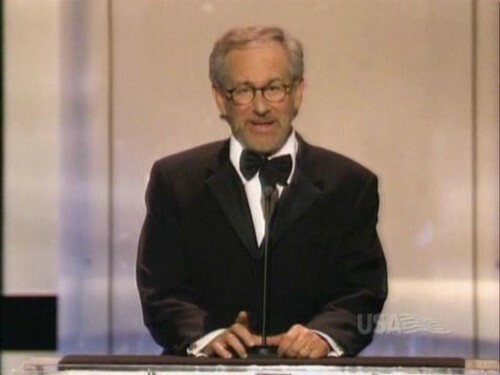 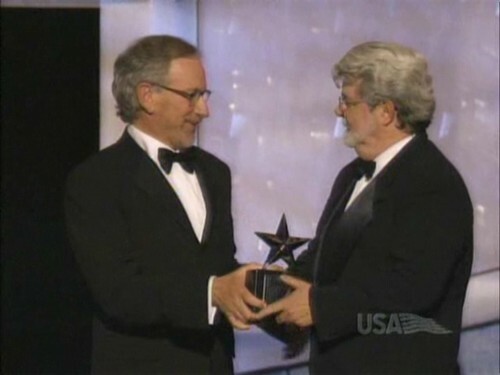 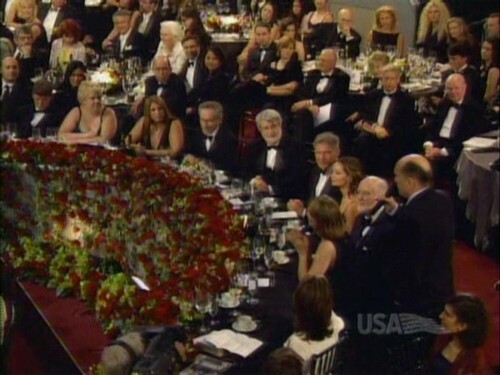 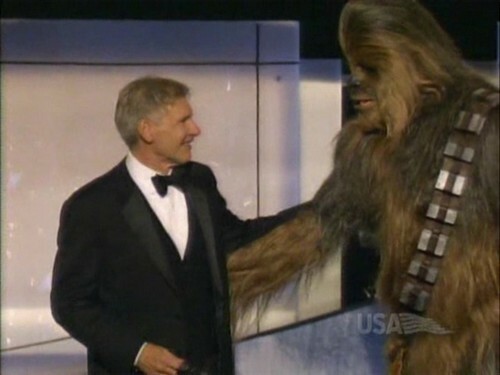 Steven Spielberg presents George Lucas with the award. 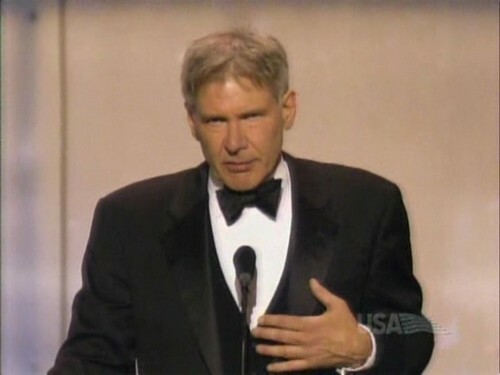 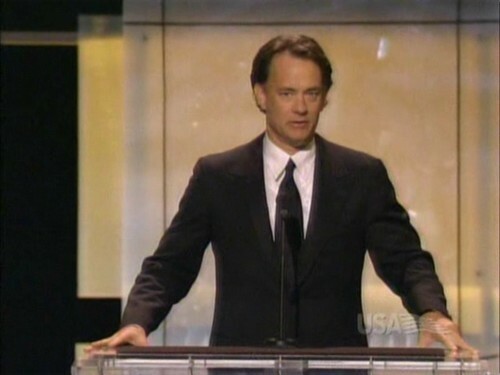 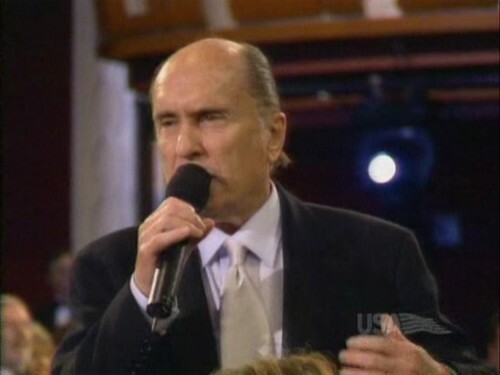 "He's right up there with Buddy Holly and the Drifters." 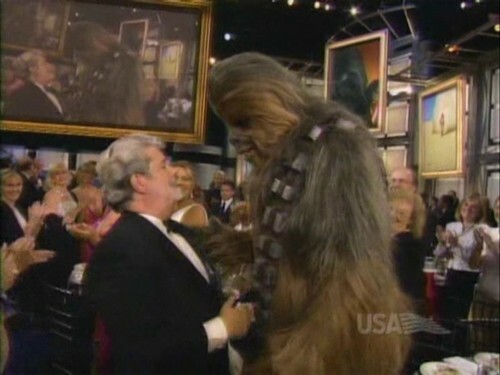 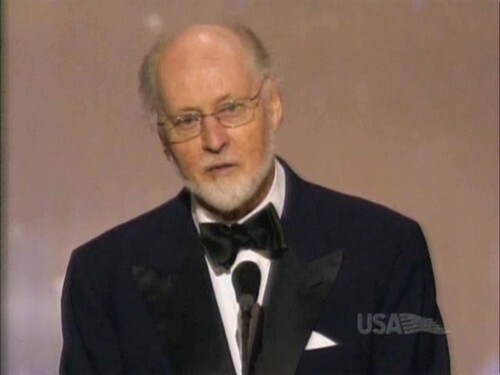 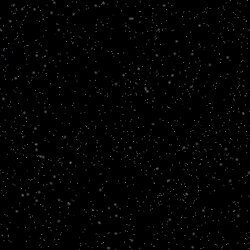 George Lucas thanks John Williams: Download here.